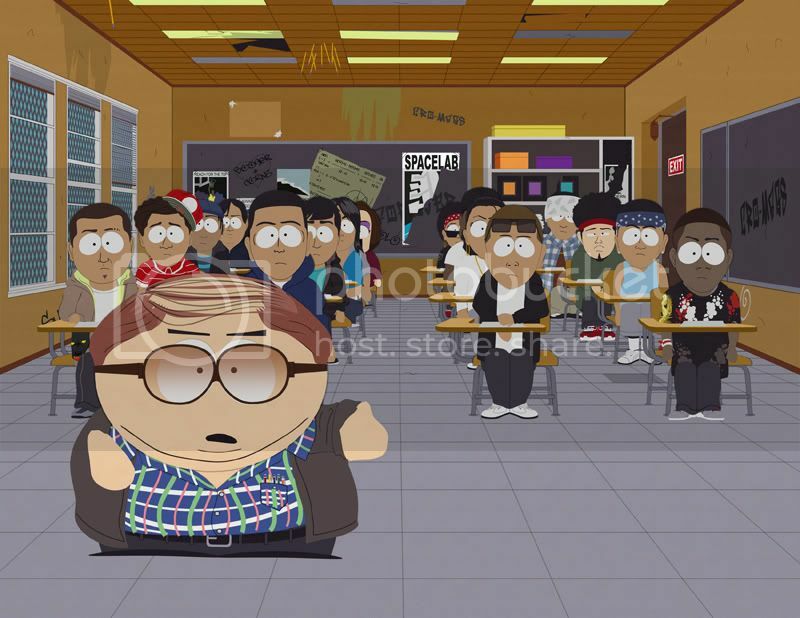 i'd like to point out that Edward James Olmos also sorta appeared on South Park. so something way off topic..and kinda interesting..i think RDM just made his first continuity mistake. does that make it any more legal??? the reason i was asking is that i didnt know what station it was. i live in jersey...on my way to massachusetts..was cruising (way too fast i might add) on the merritt pkwy...and happened across it..but it only lasted a few minutes by the time i found it...i was wondering if anybody knew what station. so i was driving through connecticut today on my way back to school, and as i was flipping radio stations looking for the local NPR, i all of a sudden heard bear mccreary. He was discussing composing music for BSG, what it's like, and the inspiration behind some of his compositions. did anyone else catch this? yea...in the captain's hand...we see a nearly flawless Combat Landing performed by the pegasus viper squadrons. almost no bounce. i think one reason might be that in the miniseries..they were still toying with the idea that the MKII's were less manuverable (an idea they kinda dropped as the series moved forward)...and so they wanted the combat landings to look more clumsy. as i was the one to post the spoilers, i can tell you with absolute certainty that that is not where i got the information from. I also dont consider that site to be very reliable compared to where i get my info. For example, the place i got this info from also had pictures of the sets they're using. The truth is most reputable spoiler sites have no idea when the time will be, but they all know it will be in the future. Simply, it can't be present day because we're still here in present day, which would completely destroy the self-annihilation idea. Perhaps 100 years from now is a possibility, but could easily be more or less. i dont know...when i saw it i was thinking a lot simpler. something along the lines of Nuclear War. We wiped ourselves out with nukes in some sort of world war. That could even lead the colonials to believe that the cylons beat them to earth and wiped it out..only to find the devastation was self inflicted. I think it'd be fitting considering the state of the world today...and definitely fitting considering RDM and Eick's style. Some of you may remember me as the spoiler junkie who did a lot of the reporting for season's 2 and 3. Well i'm back after a sorta vacation i took called life and school, and you'll never believe what what i've managed to find out from a bunch of my usual sources. That's right, these are obviously spoilers, with a possibility of being wrong...but i have it on some very good sources, as well as pictures taken of the sets they were using for earth, that when the RTF finds earth (which will be about mid season), they will find it completely destroyed, by us. That's right, RDM is going with the idea that we've managed to completely wipe ourselves out in wars with each other by the time the RTF shows up. Pegasus didn't lose 100 vipers. Many of the ones you're referring to were simply badly damaged, with engineer's saying they dont have enough spare parts to repair them. Thats why cain ordered the civilian ships stripped..to get the spare parts needed to repair the vipers. Remember the ultimate point of reference was that when pegasus met up with galactica, she had 3 full squadrons. She's made to carry 4. Factor in number destroyed, with total number, and number they were able to rebuild in thier viper construction factory onboard, it makes sense. my only question is "what do we call the ships berthed next to Pegasus in the shipyard?". We call them battlestars. One looked exactly like Adama's old ship the valkyrie. All of them had flight pods. Remember when Cain was recounting the attacks for Adama, she said "6 ships, 4 of them battlestars were instantly destroyed"
The screenshot is going to be from the last flashback, and is also in the TV cut of razor itself. And it does look like a basestar as a matter of fact. It's got the 6 pointed star shape. It looks like an early basestar to me. Something that'd be inbetween the original basestar and the present day one in the show, which is exactly what they were going for. are you asking about basestars or battlestars? Basestars are another story. One which i probably shouldn't divulge seeing as...well...you get the idea. shame it's all CGI and old BSG footage. There are no space action shots that actually came from Razor. Still a great movie tho.